This is a common question. Most doctors/therapists want to know what the problem is in order to decide whether they will be able to treat it. Alphabioticists are NOT doctors. We do not heal, treat, or cure anyone of anything. Neither do we deal with symptoms, but rather with Cause Correction. The Alphabiotic belief is that when we release the root cause of our problems (our inappropriate pervasive stress state), the body can begin to heal itself. Symptoms resolve on their own as our systems come back into alignment with Life and Health. It is impossible to predict specifically how a person will heal because each individual is unique. Healing can be gradual or dynamic, and can occur on ALL levels – physically, mentally, emotionally, and spiritually. Moving from a symptomatic to a cause correction mindset can be challenging initially. It seems contrary to everything we know about "modern medicine". Can the answer really be this simple? People often suffer from a number of ailments simultaneously. 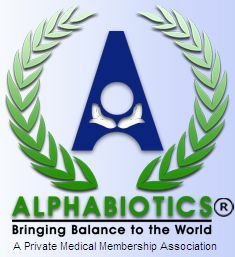 Rather than applying costly diagnostics and multiple therapies, Alphabiotics simply allows the individual to shift from a mindset of "surviving" to one of "thriving". This often saves both time and money.